Salman Khan, after patching up with Himesh Reshammiya and giving him the opportunity to come back to music composing with Bodyguard, has now decided to help Himesh’s upcoming film Damadamm! Salman loved the promos of Himesh’s films especially the songs Umraao Jaan and Madhudhaala. Himesh, who has always considered Salman his lucky charm, wanted to show the film to him. Salman agreed immediately. Salman and Himesh are very close. Salman has been giving Himesh tips on film promotion as well. Himesh seems to need as many tips as possible considering his film clashes with SRK’s RA.One this Diwali. Now, with Salman coming to watch Damadamm! the attention will shift to Himesh’s film. 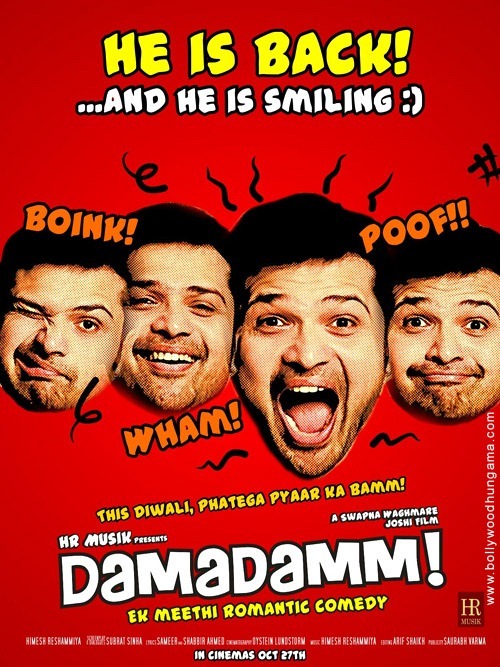 Salman, needless to say, will choose Himesh’s Damadamm this Diwali.